1. 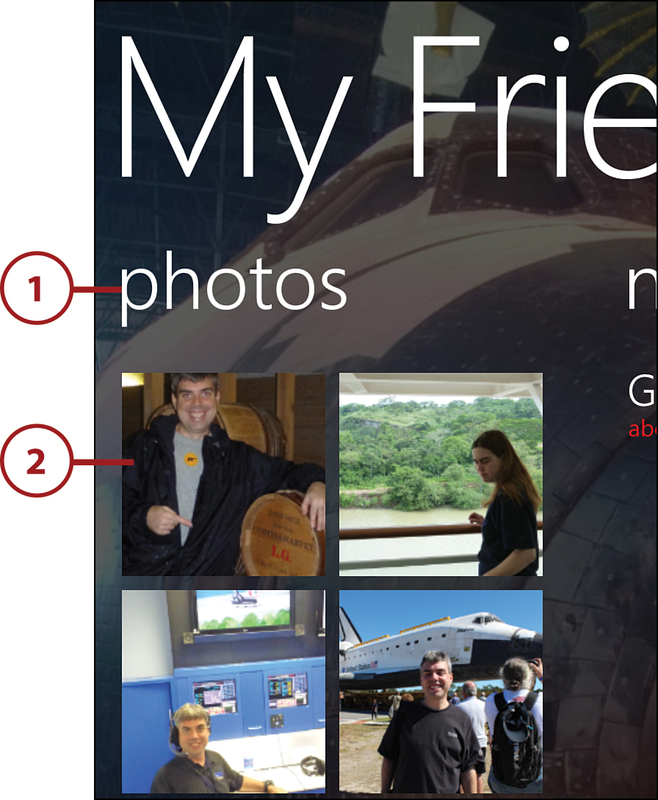 Flick the screen to the photos page. 2. Tap the photo or video you want to view. If you don’t see the photo or video you are looking for, but you know it’s there, tap the Menu icon and tap Refresh. 1. Flick the screen to access the Calendar page. 2. Any appointments from the shared calendar appear on the Calendar page. 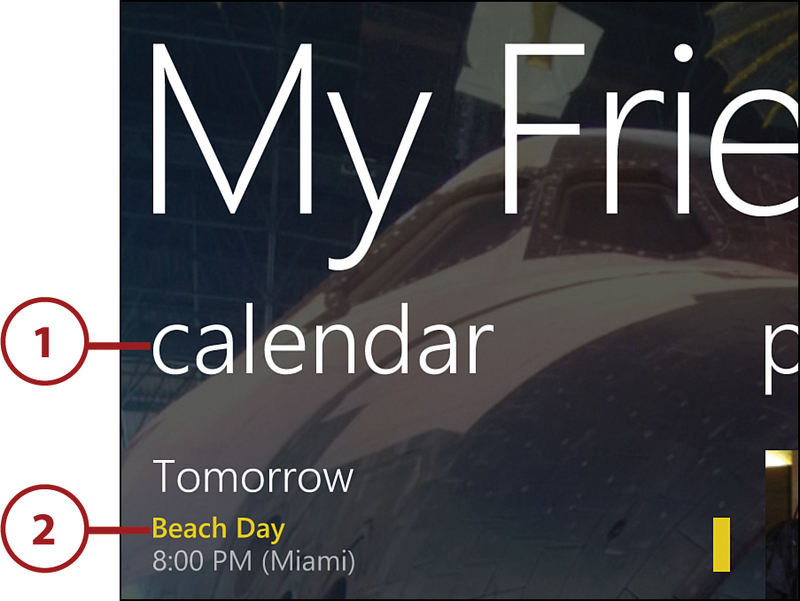 If you go to the phone’s Start screen and tap the Calendar tile, Windows Phone 8 displays appointments from all your calendars (including shared calendars). As an alternative, you can go into a room, go to the Calendar page, tap the Menu icon, and tap Show All Calendars.